It's no question Fireflight enjoyed a good deal of success with their sophomore project, Unbreakable, as the band's title track received a Dove nod along with the song also ironically being featured on the television show, Bionic Woman. 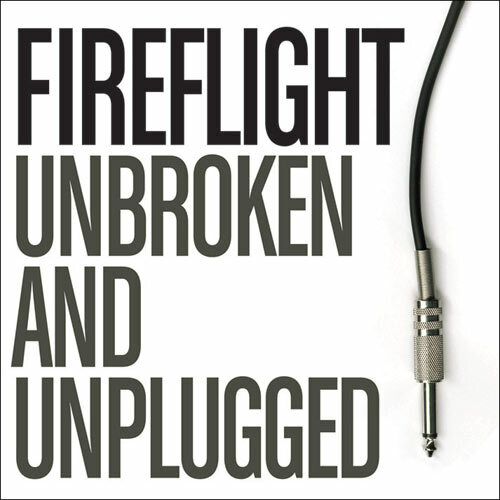 In between Unbreakable and releasing their third studio project, For Those Who Wait, Fireflight offers fans an acoustic aside, Unbroken and Unplugged EP, for eager fans who can't get enough of the band (and particularly Unbreakable). Most often, short acoustic releases such as this don't contain any new songs, and, unfortunately, it's true for the Unbroken and Unplugged EP. The EP, with the exception of the hit "You Decide" from the band's debut album, The Healing of Harms, focuses on covering songs released on Unbreakable. It should come as no surprise that the group's spectacular rock song "Unbreakable" also manages to be the top unplugged track with great vocal output by lead-singer Dawn Richardson. In fact, behind Richardson's strong voice, Fireflight puts some appeal into their acoustic songs, particularly "Stand Up (acoustic)," and their fine cello/violin combo. But the stripped down versions of the guitar-driven originals for "Forever" and "You Decide" could have used a piano thrown in as the lack of music leaves Richardson's vocals too vulnerable. While some fans may look at the already light rock song "Brand New Day" and see the acoustic version as a waste, others might prefer this truer ballad. The themes of hope, purpose, and perseverance all shine through the Unbroken and Unplugged EP unscathed, and remain a powerful part of Fireflight's music. Although the EP is a must-have for Fireflight fans, it also shows another capability of the band while successfully doubling as a strong lead-in to the band's third project.